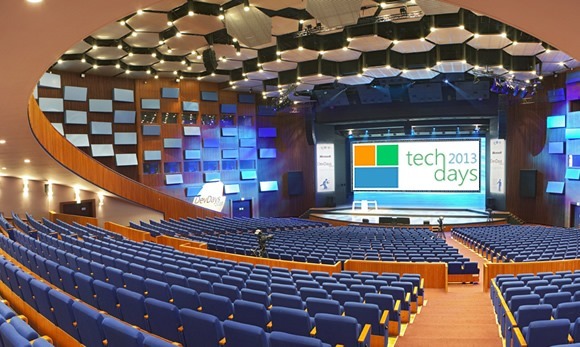 Tomorrow March 7th TechDays 2013 will take off! All innovations on the Microsoft platform for developers and IT pros. For two days more than 160 different sessions at the World Forum, The Hague. David Chappell, the keynotes of modern application development and the relevance of private and public cloud. Further sessions on Windows Store, HTML5, Windows 8, Windows Phone, Server 2012, Azure and System Center. View the complete agenda and see what all the top to tell, including Ben Riga, Bryon Surace, Rob Miles, Jeff Prosise, Iris Classon, John Grad Dock, Bart de Smet, Martin Goet and Ruben Spruijt. Would you like to get to work? Come to our instructor-led workshop and build your Windows 8 app in 1 hour. Do not miss it! Again this edition of TechDays NL Inovativ is well represented with 4 speakers; Maarten Goet, Walter Eikenboom, Kurt van Hoecke and Ronny de Jong. Below an overview of the sessions given by their. Cloud? Het draait allemaal om de app! Looking forward to meet you there in person!